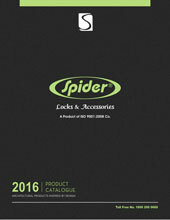 Spider, an ISO 9001 certified Company is a well known name in domestic & international hardware market for more than last 25 years. 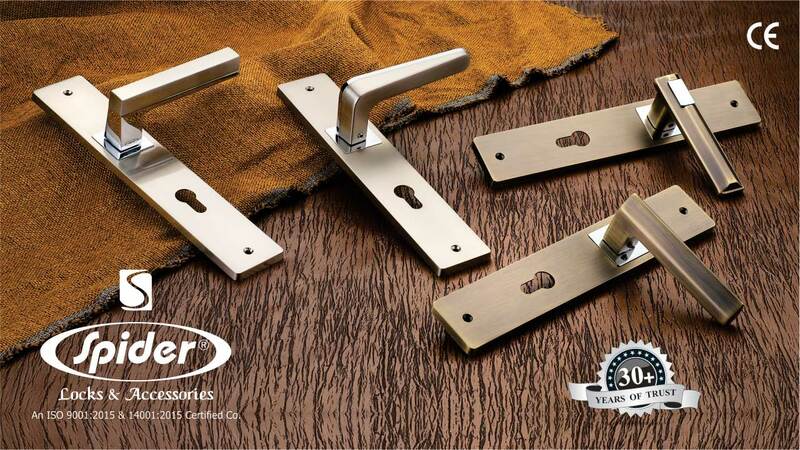 Company provides a wide range of mortice locks (both lever & pin cylinder) Mortice Handles (Brass, SS, Zinc & MS), Door Locks, Furniture Locks, Pad Locks, Brass Aldrops & Door/Window fittings. The manufacturing unit at Tala Nagri, Aligarh is spread over 10,000 meters & having in-house facilities of Casting (Sand & Gravity), Lencering, Grinding, Buffing/Polishing, Nickel plating, Gold plating, Electrophoretic & Electrostatic Lacquering & Powder Coating. To maintain quality of products the tool room is equipped with CNC wire cut machine, modern Milling, Lathe machine & Surface grinding machine. The company with the team of technical & skilled staff is committed to satisfy the customers by continual improvement in product quality & services. We are marketing our product through the chain of distributors in India, Middle East, East Africa, South Africa & Nepal. Tel No. : +91 571 2780123, +91 92195 27707"